The Vicar, the Revd L Norman Philips is the older of the two Priests seated in the middle. The younger Priest is the Revd. Arthur M Rumball who was a curate at Beeston between 1932 and 1935. 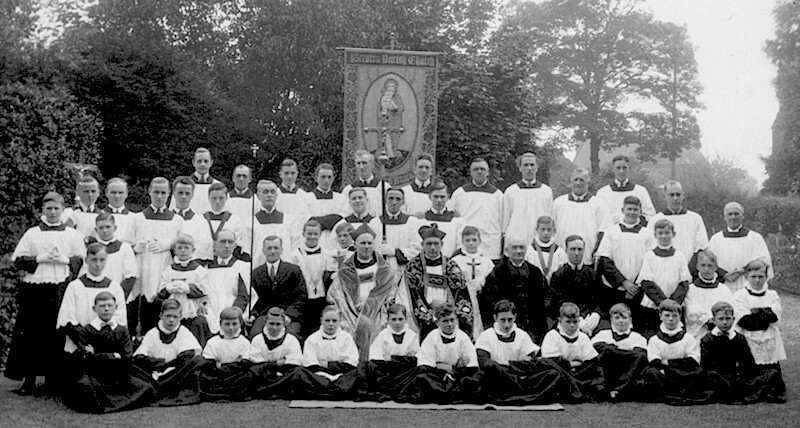 Arthur Smedley is standing behind him, on the right of the crucifer.